I went with my family to see Paddington as part of my son’s birthday. It wasn’t a movie I sought out or ever thought would be a fine film; I went because it was the only age-appropriate kid’s movie playing at the time. It was the first time my son had been to the theatre, so for that reason this film will always be memorable to me. So I went in not expecting much, knowing that I would remember this event whether the movie was good or bad, but never expecting actual quality to come across the screen in the form of a fuzzy bear with a British accent. Perhaps it was the English setting, the classic storybook feel, the simple characters, or the inherent emotion of the movie; I’ll never be sure. 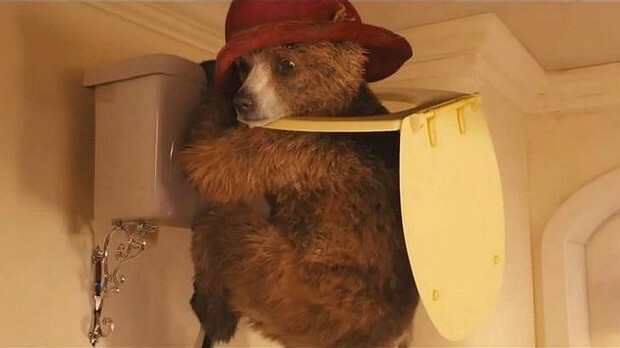 But Paddington was more than just heartwarming; it was actually good. Many years ago in Darkest Peru, an English explorer journeyed through the jungles in hopes of discovering new & interesting species. Well, he found one, a family of highly intelligent bear that lived in the trees. He passed along to them his language, his culture, and his love of marmalade, leaving the bears wholly changed but highly satisfied. Much later, after a tragic event, the youngest of these bears would go looking for the land of this explorer, ready to discover new places himself and finally meet the people of London. 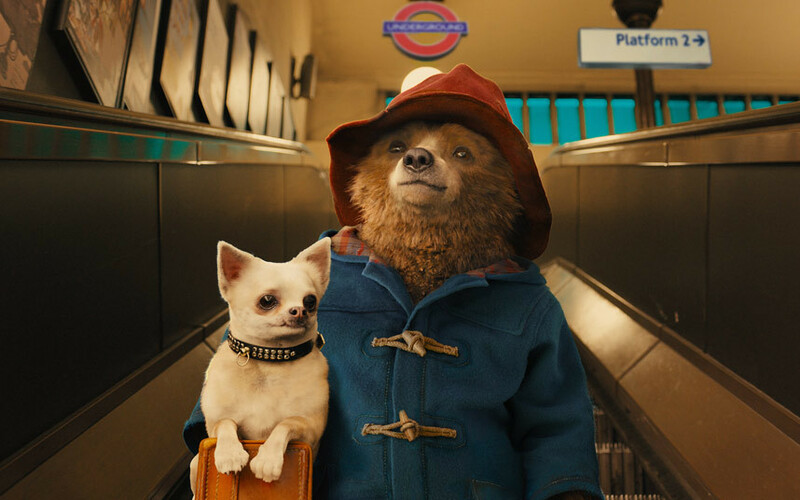 Well, the city wasn’t exactly what he imagined and the people weren’t exactly as nice, except for one family, The Browns, who named the bear Paddington, took him in, and fell in love with this special creature, despite all their differences. Somehow, I have never read these books. I’m not sure how that happened, since I’ve been an avid reader since early childhood, have two kids of my own, read classic storybooks & novels to them all the time, and have always known who Paddington was. This is something I shall have to remedy, because I too fell in love with this bear. It’s a clean & easy storyline that speaks right to the heart and is easy to appreciate; a youngster who has lost his family, goes looking for a new one, and finds love where he least expected it. It’s a warm plot with only a few scary parts, and those mild & silly. By the end, you root for the bear and fear for his safety; something that can’t be said about every protagonist you come across in American cinema. But, again, it wasn’t just pleasant, the film was well-made. The animation was excellent, with colorful scenes, a high volume of action, beautiful sets, and an attention to detail that was praise-worthy. The Brown’s house was spectacularly crafted, making you instantly want to live there and allowing you to understand why Paddington, once there, didn’t want to leave. As far as the acting was concerned, Bonneville & Hawkins were great as the Brown parents, each different yet each conveying a strong set of emotions. And Nicole Kidman as the villain was uproarious, as she played a cold-hearted taxidermist who wanted to stuff our hero and would stop at nothing to fulfill her dream. 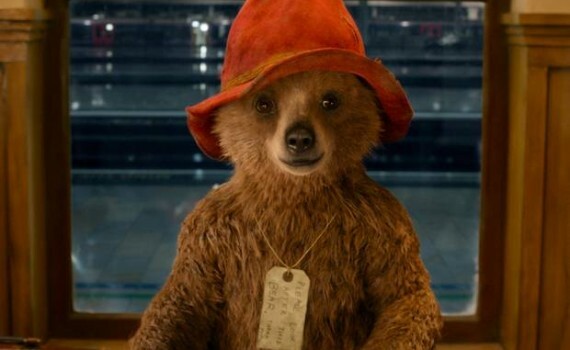 Paddington is an enjoyable film, one that you walk away from feeling good but also appreciating the effort that was put in to bringing this classic story to life. Too often filmmakers rely on our love for the original medium, neglecting or not caring to present it in a better package, knowing that the money will come rolling in regardless. Not here, not with this movie, and for that I’ll always be appreciative.